Our mission is to enhance the lives of children and adults through the martial arts. We train - discipline, accountability, self-confidence, and positive mental attitudes. 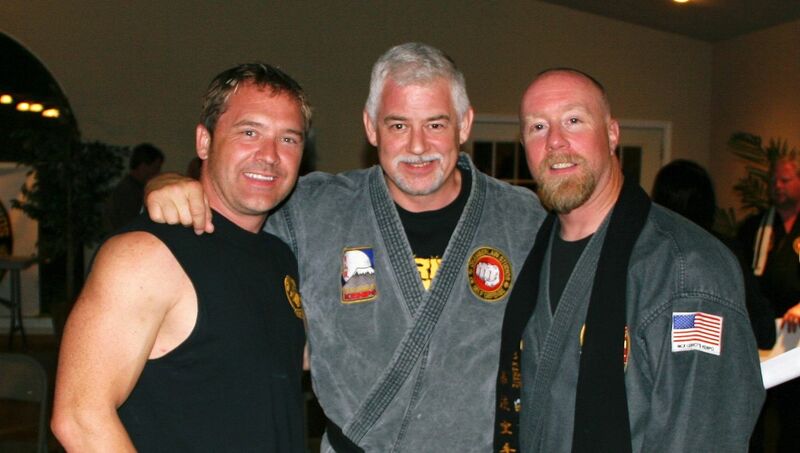 Nick Cerios Kenpo is an Internationally recognized style of martial arts. We teach traditional kenpo-karate and include programs for competition. The dojo (facility) is top of the line and our instructors take pride in training our system to best enhance the students and their progression. Each Sensei (teacher) is highly qualified and passionate to train martial arts with over 18 individual years of training. Like many martial arts schools – styles and systems vary to fit the needs of the individual. In our program, we use Martial Arts as the vehicle for personal development. Our students develop the skills they need to be successful not only on the mat, but more importantly, at the game of life. Building character traits like Perseverance, Integrity, Humility, Dedication, Respect, Discipline and many others while the achievement of their goals helps them to build their Self Esteem and Confidence. While they may only train for short time or their entire lifetime, they'll use these benefits every single day for the rest of their lives. We're honored to help them develop into the future leaders that they deserve to become. Our program allows potential new students to come see what we have to offer through a free class. Kenpo is an interesting style of Martial Arts in that it shows how cultures can merge and benefit with learning from one another. Kenpo is a Japanese/Okinawan Martial Arts style. However, unlike Karate, its origins are linked back to China and still have very strong influences from Chinese systems. The name, "kenpo", also sometimes spelled "kempo", is derived from the Japanese pronunciation of the Chinese character "chuan" and "fa". Literally translated, it means "the method of the fist." This seems to be a very close translation into Chinese of what "karate-do" means and might have come about as a means to bridge a language divide between the two countries. It is not uncommon for a Kenpo artist to both use traditional Japanese and Chinese style techniques. The difference lies in that because of the Chinese influence, the moves tend to emphasize more fluidity than most of the other Japanese styles. And because of the Japanese influence, there is a stronger focus for shorter stances and movements than other Chinese styles. For the same reason that many other styles are sometimes simply listed as "karate", Kenpo has long been strongly linked under the general banner of "karate". However, recognition for it being a different style of martial arts is emerging quickly. And in many ways, this art is finally getting the notice it should. Kenpo is known for its near explosive, short-ranged attacks that often move faster than the opponent can see. Strikes are designed to cause a specific reaction in the opponent, which leads to your next strike, and so on. Kenpo also tends to be "technique" based...rather than "kata" based like Okinawan or Japanese karate. Its generally a hand technique system, with a small number of kicks, and when kicks are needed, they’re usually below the waist. 70% hands 30% feet. It's quick...its mean and it's to the point. To test to your 1st dan rank will take approximately 5 years. We believe that the journey of a martial artist never ends. It is a lifelong very fulfilling commitment. The end goal may not be just about getting your black belt. But if that is your goal for you – it may only just start there. Attaining the coveted black belt is a great beginning goal and will change who you are inside forever. The confidence and self-fulfillment cannot be put into words. We hope that you will consider making our Kenpo family part of your family!